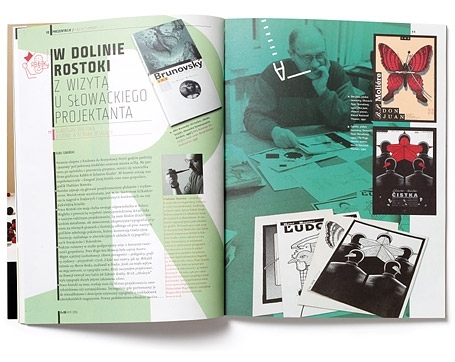 The first part of the magazine is devoted to applied graphics (2D). We present selected posters, graphic symbols, typefaces, typography, packaging, company visual identity strategies, as well as certain elements of advertising. Every issue features the portfolio of a selected designer: either a recognized professional, a promising debutante, or someone who is raising a controversy. We make note of competitions, reviews and exhibitions, mainly in Poland, but also in the world at large, with a particular focus on Central Europe. 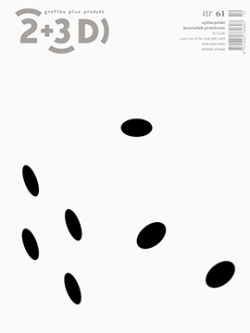 We also make room for theoretical articles and those on the phenomena which have formed the history of design, and which might serve as inspiration for contemporary designers. The second part is reserved for 3D products from both industrial design and limited series projects (and sometimes even one-offs). We concentrate on not only everyday-use objects, but also on more seldom addressed design problems, such as those of public space, production and workplace conditions, and assistance for the elderly and disabled. As in the first part, we present portfolios, theoretical work, competition results, and design history (with particular focus on our own past). The third subject group is interdisciplinary issues (+). Every profession, and especially design, draws from a range of other disciplines. We feature issues which are found at the crossroads of design and psychology, sociology, ethnology, law, as well as art and those specialties which give this occupation its tools. 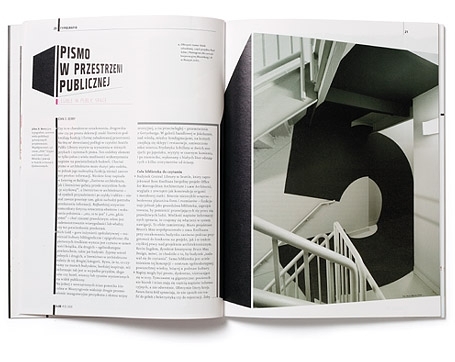 This is also a space for presenting new publications, both print and web-based. Designers of applied graphics (advertising studios) and industrial design, and managerial staff who commission design services in the fields of company visual identities, advertising, product development, and the re-design of existing products. Companies co-operating with designers, including distributors of professional equipment and materials (e.g. computer programming and equipment, and photography, layout and office equipment), as well as studios, workshops and service shops (printing, exhibitions, photography, etc.). Opinion-forming circles: critics, journalists and applied and industrial graphic designers, art historians, design teachers, as well as students in art and design-related departments. 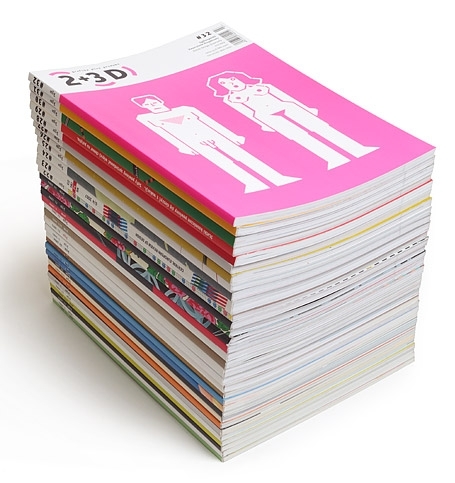 Readers are chiefly young people (20–30 year-olds), a large part of whom are students of design academies and high schools. This stems from the fact that the magazine is seen as an important source of professional knowledge.